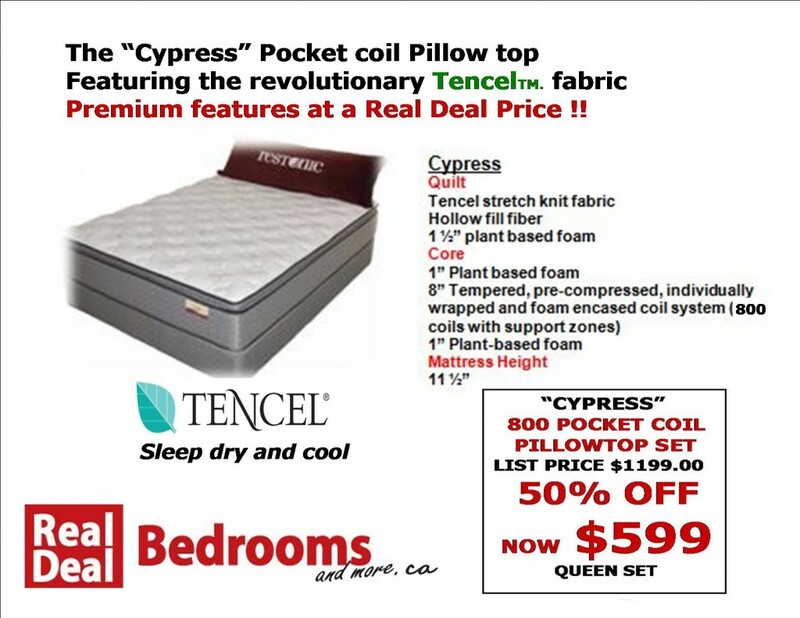 The “Cypress” Pocket coil Pillow top Unequaled Value !! The “Cypress” Pocket coil Pillow top featuring the revolutionary Tencel fabric. This top quality mattress gives you unparralled support with it’s 5 zone pocket coil support system. A full 3″ foam encased edge means more useable sleeping area! 100% locally made quality components! Backed by a 10 year full manufacturers warranty.